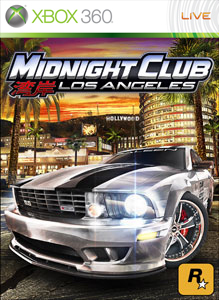 The PlayStation 3 version of Midnight Club: LA has already had this content available, but now it comes to Xbox 360. The delayed South Central LA Content is here and is available as a free and premium download. "Get tons more streets to race in with the free South Central Map Expansion which expands Midnight Club: Los Angeles by one third, adding four new neighborhoods to make up the iconic district of South Central. Download the South Central Map Expansion to race online with friends who have the South Central Premium Upgrade or for single-player offline cruising. The South Central Map Expansion features real world L.A. landmarks such as Exposition Park, the USC campus, Shrine Auditorium, Crenshaw Plaza, and the L.A. Memorial Coliseum." "South Central Premium Upgrade is the total South Central experience for Midnight Club Los Angeles delivering 9 new vehicles, 26 new races, 12 new battle maps, 10 new delivery missions, over 100 new red light races, new vinyl packs, new parts, new music, and the free South Central Map Expansion which expands the massive city of Midnight Club: Los Angeles by one third, adding four neighborhoods that make up the iconic district of South Central. Features the following 9 vehicles: Luxury: 2008 Mercedes-Benz CLK63 AMG “Black” SUV: 2008 Range Rover Supercharged, 2008 Range Rover Sport Super Charged Lowrider: 1955 Chevy Bel Air, 1963 Buick Riviera, 1964 Chevy Impala, 1965 Chevy Malibu Muscle: 1970 Chevy Chevelle, 1966 Pontiac GTO."